ALL THE EBOOKS AND THE DVD'S!!! all ebooks are shipped at the end of the day via secure transfer server. I use DROP BOX to send files from. Many of the E-books have been loaded to Amazon.com if you rather go there to buy them. I am loading more as I get the time. Look for the title or Raven Hawk Publishing. If you download you can save to your ipad or reader. 61 ebooks all in adobe format, one low rate for all. Get them all here, one flat rate for $300. 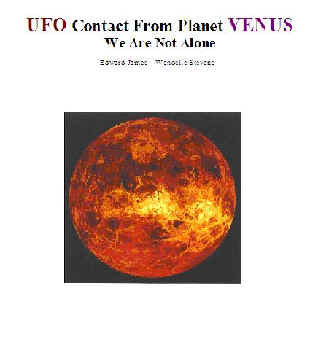 UFO CONTACT FROM VENUS I CAME, A 295 page Ebook that describes the life of Omnec Onec and her life on Venus. Before she arrived on this planet, she was carefully conditioned to our density and became physically manifest in an earth-body equivalent to a 7 year old girl. Her uncle and the crew who brought her here introduced her into a Tennessee family who had just lost their own little daughter. And although Omnec had the appearance of a 7 year old she had the Venusian wisdom and knowledge of her 210 year equivalent at the time of her arrival here in 1955. This then is her story of her early life on Venus, her arrival here in the middle of our first modern excitement over UFOs, her preparation and adaptation to Earth living and its peculiar problems, unknown to her on her home planet. UFO CONTACT ANDROMEDA, A 320 page Ebook Prophesies of an extraterrestrial women. They say they come from Andromeda and that they walk our streets and breath our air. The contactee is a tenured professor. Read about their visits and trip on a ET aircraft. Read about the prophesies and see how many have been fullfilled. Messages take you to the message that were left with Billy Mier in Switzerland. This is a translation of the over 1000 pages in German. 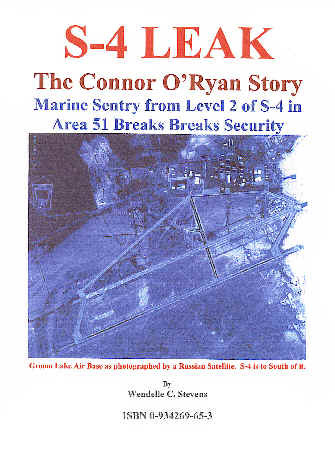 There are 4 volumes in this series, they pick up where the Preliminary reports left off. 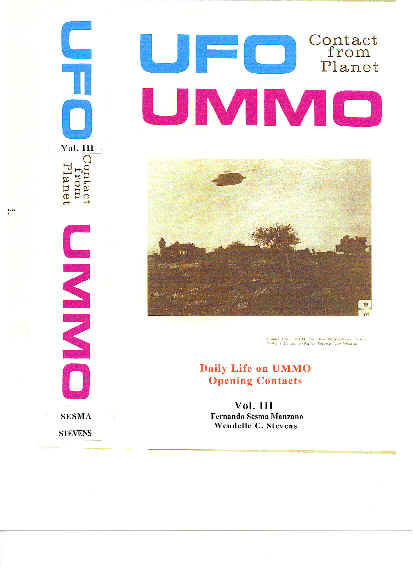 UFO CONTACT FROM PLANET UMMO Vol 1 The home planet. 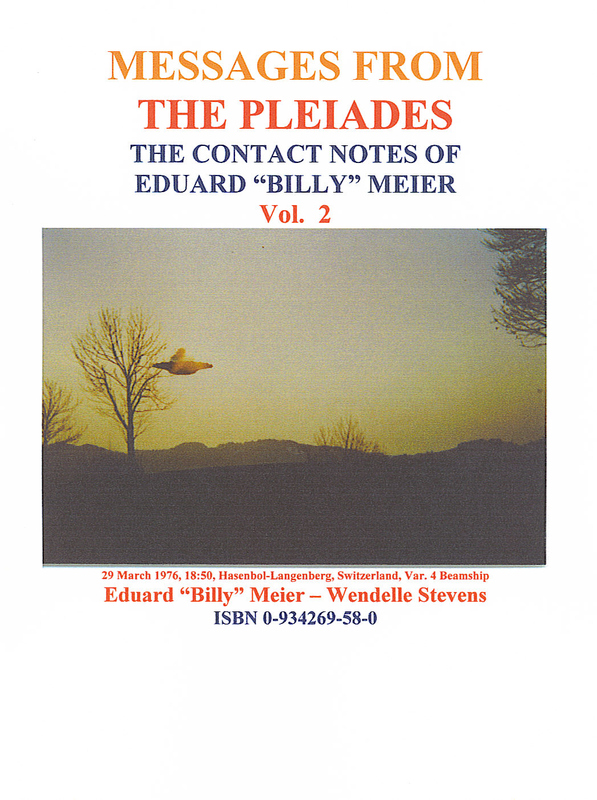 A 370 page book on the first UMMO contacts with Prof. Fernando Sesma in Spain, and the ongoing communications with him and others over several years time, in Mini-CD format. Many of the original Ummite communications are shown here with translations. 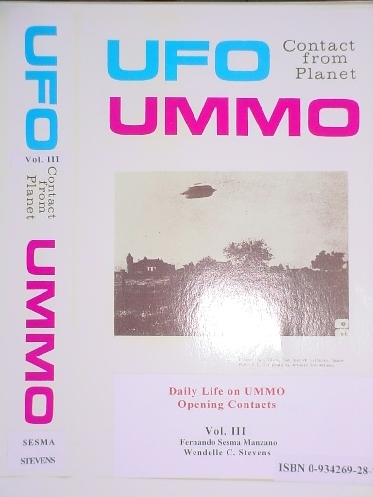 UFO CONTACT FROM PLANET UMMO Vol 2, The home planet. A 400 page book on the first UMMO contacts with Prof. Fernando Sesma in Spain, and the ongoing communications with him and others over several years time, in Mini-CD format. Many of the original Ummite communications are shown here with translations. 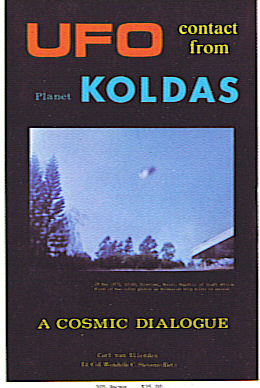 UFO CONTACT FROM VENUS A 219 page narrative account of Ron Cards ongoing contact with a male being from Venus who gave him a very extensive coverage of the history or our earth, before the written coverage we now have. The Venusians took an earth battleship from mid-voyage to the Atlantic. 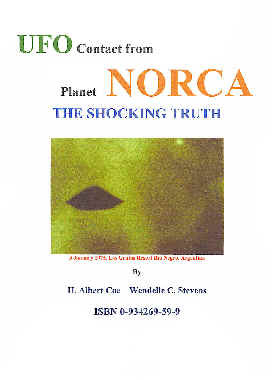 UFO CONTACT FROM PLANET NORCA A 130 page account of Albert Coe's ongoing contacts with a male being from an exhausted planet they called Norca, before they moved their operation to our neighboring planet Venus. They met Coe, including his fiance who became his wife, many time together. 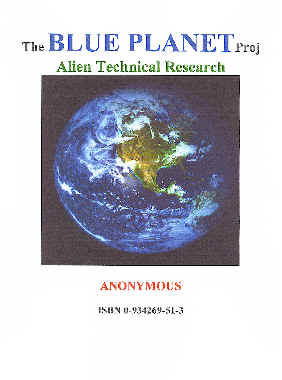 THE BLUE PLANET PROJECT A mysterious manuscript authored by a US Government insider, describing the inter relationship between the US Government and several extraterrestrials societies with whom we have working agreements. Never intended to be released to the USA. 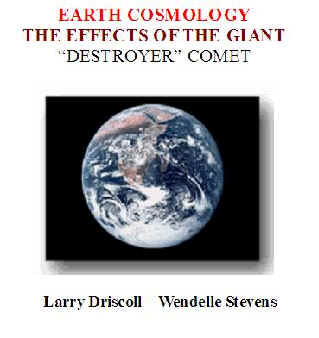 EARTH COSMOLOGY A 25 page account of the effects of the Destroyer Comet that upset our whole Solar System, in the ancient past carefully searched out in Billy Meier contact reports. Larry Driscol reads and translates directly from the original German transcripts, carefully connecting the notes. 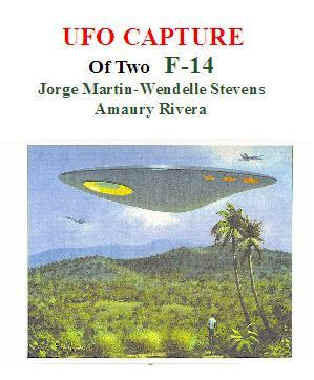 UFO CAPTURE The carefully investigated report of two F-14 Navy Tomcat Jet fighters captured in full flight by a giant delta-shaped fling object before the astonished eyes of hundreds of first person witnesses on the ground near Cabo Rojo in Puerto Rico. Very mysterious government activites followed. 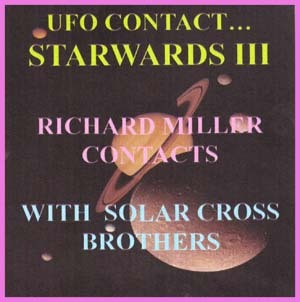 UFO ART A 119 page survey of UFO art by the best and most used artists in the UFO Literature. This includes the works of Robert Castillo of Baja Calif, Jim Nichols of Tucson Az, Rudolph Dass of Holland, Jacques Drabier of Phoenix Az,Wesley Crum of Ill, Chan HJohnson of Nv and China. 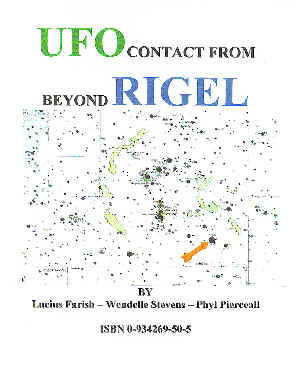 UFO CONTACT FROM BEYOND RIGAL A ethnic Cherokee American Indian girl is abducted from her home in full view of her Mother, was taken aboard a hovering flying disc, was examined and then was shown around the craft and allowed to ask questions. She observed amazing technology and and in answer to her many questions was shown remarkable machinery and devices that were demonstrated to her. 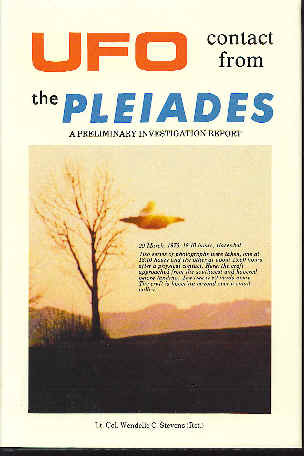 MESSAGE FROM THE PLEIADES, Vol. 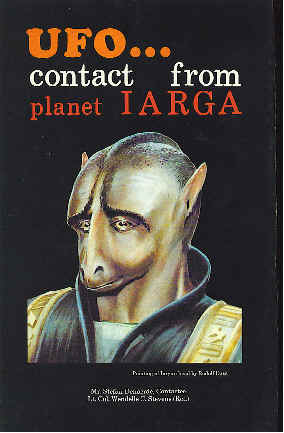 2, originally published in 1980 in Hardback library style edition. This E-Book version has all the photographs digitized in full color, and all the dialogue with the Ets, not purged to eliminate possible grounds for libel. It also has a subject contents in the front to facilitate research. 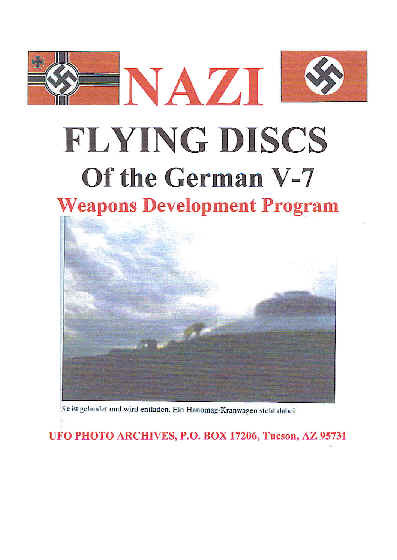 NAZI FLYING DISCS, A German designed and built VRIL 1 research craft in flight near Prague 1941. 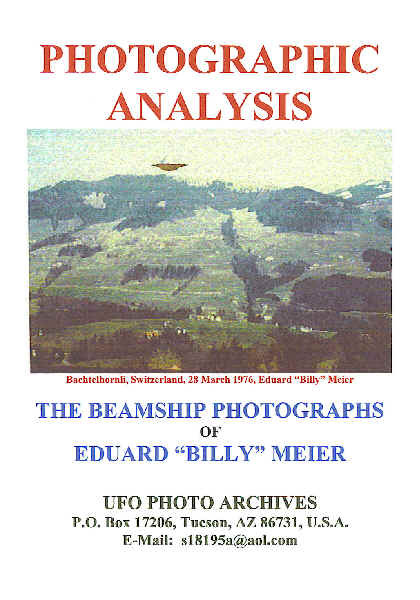 PHOTOGRAPHIC ANALYSIS, The Beamship Photographs of Edward "Billy" Meier. 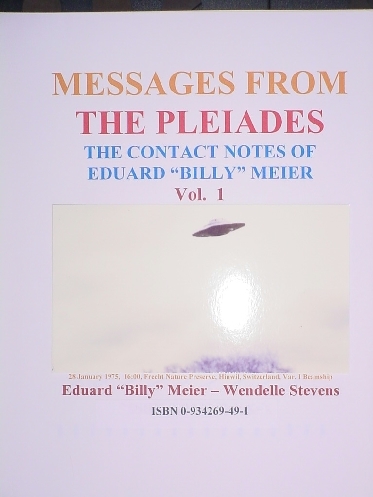 Report from the contact notes of Billy Meier of Switzerland. 363 page report on the willing abduction of a Mutinational industrialist from his private yacht. He remained on board the ET craft for over 8 hours conversing with the occupants and being shown many wonderful things on the viewing screens on board the craft. 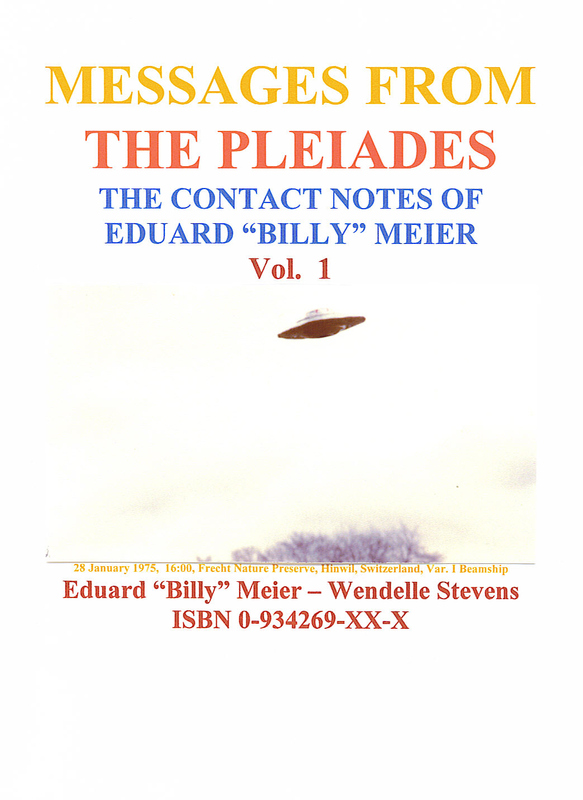 A 400 plus page report on "Billy" Meier's Contact Notes for contacts with human beings who said they came from a star group we call the Pleiades. These notes are all dialogue and confirmatory information covering subjects now better known to us over time. Remarkable subjects of profound nature were often discussed with them. Many of those subjects have now been proved. Profusely illustrated.